Is Pradaxa Worth the Risk? A recent article in The New York Times examines the risks of Pradaxa. Pradaxa, like Xarelto, is among a relatively new class of blood-thinning drugs turning huge profits for the manufacturer. Patients who had been taking Warfarin, the traditionally prescribed medication to aid in the prevention of strokes, needed to get their blood levels checked every few weeks. Depending on results,, the dose of Warfarin would be adjusted. Pradaxa has been marketed in a way that users are led to believe regular blood testing is not necessary with this new drug. They were told there is no need to adjust the dose, like you do with Warfarin. However, as your Boston medical malpractice lawyers can explain, this advice by the marketing arm of the pharmaceutical company can lead to internal bleeding and bruising, including intracranial hemorrhaging. As noted in the article, the more convenient nature of Pradaxa was a key reason the U.S. Food and Drug Administration (FDA) fast-tracked its approval and allowed it to hit the market after only a single large clinical trial. Soon after hitting the market, hundreds of thousands of patients rushed to doctors to get the new drug. Since that time, Boehringer Ingelheim has already settled thousands of claims and agreed to payout $650 million in damages for personal injury and deaths of consumers. According to studies commissioned by the manufacturer, routine blood tests could make patients a lot safer. The problem is that these tests would mean Pradaxa is no more convenient than taking Warfarin, so the company would lose its marketing edge. The drug company is claiming that these studies only yielded preliminary results and were not conclusive, so they were not relied upon when marketing the drug. The F.D.A. is also defending the safety of Pradaxa, which is not surprising considering the fact the government allowed the company to market the drug much sooner than their protocols typically allow. In the modern era, where companies can directly market drugs to consumers, it is often the patients telling their doctors what medication they want. Many doctors seem more than willing to go along with this new way of doing things. The doctor also relies on information from the drug company when advising patients. If these dangerous side effects are not in a commercial or in the monographs provided to the doctor, there is no way the patient is making an informed decision about something that can have major health consequences. This is the basis for a failure to adequately warn claim in a dangerous drug negligence lawsuit. Drug companies have a duty to warn patients of known dangers and dangers they should have known about as a result of clinical trials and other research. If the company is withholding evidence of adverse events (side effects) from the FDA or the consumer, they can be held liable for any damages, including pain and suffering, lost wages, medical bills, and other special damages. 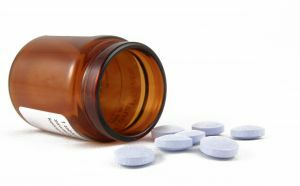 If the victim has died as a result of taking the dangerous drug, there may be additional damages available to plaintiffs.